Our vast infrastructural facilities enable us to provide our clients with utility based products such as Premium hardware, Abrasives, Cut off Wheels, Spray Paints, Sealants, Masking tapes & PVC Tapes, Wood Preservative, Car care, Fuel Additive, Engine Flush, Auro Performance Products, Dashboard Polish, Foaming Tire Cleaner, Clean All Foam Cleaner, Auto Glass Cleaner, Chamois Cloth, Gas Treatment, Super Motor Flush, Carb & Choke Cleaner, Diesel Injector Cleaner, Silicone Gasket Maker, Spray Undercoating, Gear Oil Treatment, Power Steering Fluid, Headlight Restorer, Bug and Tar Remover, Windshield Washer screen wash, Premium Motor Oil Treatment and auto cleaning proudcts. 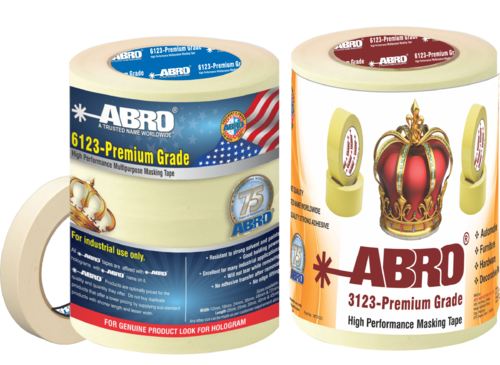 These products are manufactured by ABRO, USA, a worldwide trusted brand and appreciated for their application in various industrial and domestic processes and feature high effectiveness and performance reliability. We provide a range of abrasives, car care products, which are refined from the best quality enabled oil inputs to provide optimum purity and reliable performance as per the industry standards of quality. Our organization is channel partner for ABRO Industries Inc. (USA) and is associated with the most reputed clients in the domain. With our advanced manufacturing capabilities, we offer reliable products to them as per their exact specifications and meet their requirements in a complete manner. We provide a range of products such as Super Motor Flush, Diesel Fuel Treatment, Power Steering Fluid, Carb & Choke Cleaner, Diesel Injector Cleaner, 10-Minute Radiator Flush and Fuel Injector Cleaner.